The 2012 NASCC Conference — which was held in conjunction with the World Steel Bridge Symposium and the Annual Stability Conference April 18-20 in Grapevine Texas — boasted more than 3,500 attendees, as structural engineers, detailers, erectors and fabricators convened from around the world to learn about the latest advancements in the steel industry. In the SDS/2 booth, conference attendees got a glimpse of the future of the software. Demos showed strides made in SDS/2 since last year's NASCC conference, most notably SDS/2 Erector and SDS/2 Connect. Other popular in-booth demonstrations included reference drawings, notes in the model, point locate, and functionality of the new main menu/dashboard. The booth also highlighted customer projects in the Dallas area — such as the Dallas Convention Center Hotel (BV Detailing & Design, Inc.) and Deloitte University (Quality Drafting ) — via a video display. Design Data held two contests at the show: one rewarded those tweeting or posting about SDS/2 with a $250 Visa gift card; the other gave free SDS/2 software to those attendees who collected a secret code phrase from our partner and customer booths. Among the winners were Brian Cobb from Structural Detailing, LLC and Nick Mai of TSF Structures, Inc.
Peddinghaus' annual customer appreciation event kicked off with a parade around the show floor. The networking event itself included entertainment by comedian Dana Carvey, the Dallas Cowboys Cheerleaders and the Emerald City Band. 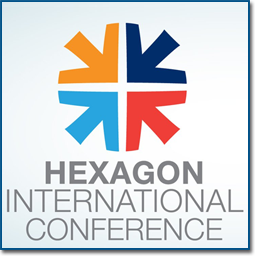 To watch Peddinghaus' recap of the conference, click here. To view additional photos from the 2012 NASCC conference, click here. 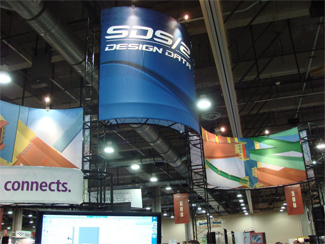 Be sure to join Design Data at the 2013 NASCC Conference, which will be held April 17-20, 2013, in St. Louis, Missouri. 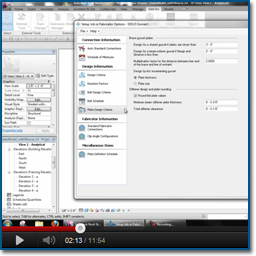 To help users learn the ins and outs of SDS/2 Connect, Design Data has created a new YouTube playlist: How/2 Connect. The How/2 Connect video series provides tutorials on SDS/2 Connect features and functionality. 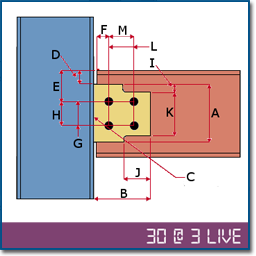 Viewers will learn how to apply and edit different connection types (such as clip angles, end plates, and shear plates), prepare a project for use with SDS/2 Connect, apply moment connections, customize connections, and more. Sapulpa, Oklahoma-based Bennett Steel has capitalized on projects within the energy sector and a building boom in downtown Tulsa to rebound from the recent recession. Bennett Steel — an SDS/2 customer whose projects include ONEOK Field and the new indoor athletic practice field at Oklahoma State University in Stillwater — has nearly doubed its workforce and is still looking for more skilled labor. Read the Tulsa World's full article about how the fabricator has flourished after the economic downturn.